Over twenty Brazilian players will compete in the upcoming season of the Chinese top-tier football league, Chinese Super League (CSL), representing 11 teams. Some of them have played in China for several years, enjoying a good reputation due to their earning a series of titles. The CSL title defending journey (which will kick off on Friday) will be a tough one for Shanghai SIPG, as they sent their top scorer Wu Lei to La Liga side Espanyol last month without introducing any new player. 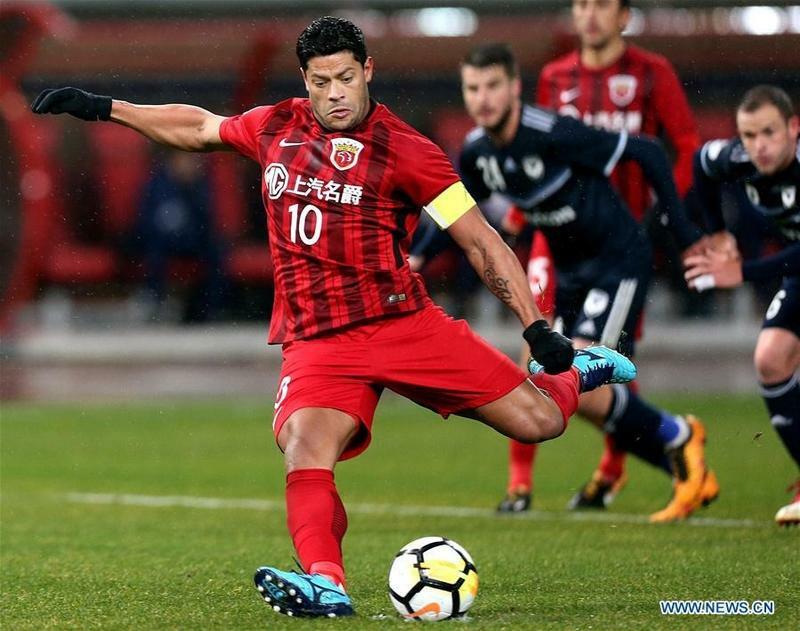 However, the defending champions still boast powerful strikers, and three Brazilian strikers (Hulk, Elkeson and Oscar) scored 32 goals and contributed 34 assists in the last CSL season. Guangzhou Evergrande, SIPG's closest challengers last season, also failed to significantly strengthen in the latter parts of the season. Coach Fabio Cannavaro will rely on another pair of Brazilians, midfielders Paulinho and Anderson Talisca, to take back the crown. Talisca scored 16 goals in his 18 league appearances, and Paulinho scored 13 in 19 league matches. Guangzhou Evergrande decided to reduce the appearance of foreign players to two in the new season, in order to achieve the aim of "no foreign aid" by the year 2020. Ricardo Goulart, who has scored 135 goals in 157 matches across all competitions for Evergrande since joining from Cruzeiro for 18 million euros in January 2015, joined Brazilian Serie A champions Palmeiras on loan. 30-year-old Brazilian striker Alan Douglas, who scored 13 goals for Guangzhou Evergrande last season, joined Tianjin Tianhai in February 2019. The most eye-catching move of the Chinese transfer window belonged to the Belgian internationals. Shandong Luneng, who finished third last season, snapped up Marouane Fellaini from Manchester United. The towering 31-year-old is expected to help his new team Luneng go further in both CSL and the AFC Champions League. Li Xiaopeng, Shandong head coach, said that Fellaini will play an important role in the new season. "When Fellaini does more training with the whole team, I am sure there will be chemistry," Li said. The Belgian international made 177 appearances and scored 22 goals at United. Fellaini's fellow Belgian midfielder Mousa Dembele signed for Guangzhou R&F from another English Premier league team Tottenham Hotspur. Another high-profile arrival was the Slovak international Marek Hamsik, who went to Dalian Yifang after outstripping the great Diego Maradona as Napoli's record goal-scorer. The former Napoli captain hit 121 goals in 520 appearances. Beijing Guo'an, who finished fourth last season, made big movements in the winter transfer window, as they signed six players including bringing in two naturalized players, the first ones in Chinese football history. South Korean defender Kim Min-Jae was the only new foreign face at the CSL powerhouse, a move to shore up their leaky defence. Over twenty Brazilian players will compete in the upcoming season of the Chinese top-tier football league, Chinese Super League (CSL), representing 11 teams.